No taboos here. Not only are black and navy shades ultra-versatile, but they’re also an easy way to add a contemporary vibe to your work and weekend attire. Here’s how to wear black and navy together. Before we dive into outfit ideas, let’s do a quick overview of how neutral colors work. A neutral is any of these colors: black, brown, grey, navy, tan and white. Color pairings are essentially broken into two camps headed by the mega neutrals of black and brown. Stylist Tip: Occasionally, you can wear black and brown together, but only if there is a significant contrast in the shades and you’re going for a more casual look. As you can see, black and navy are in the same family and can be worn together, so feel free to embrace this pairing to your outfit preferences. Remember to stick to three colors maximum in your outfit: black, navy and one more neutral (if desired). 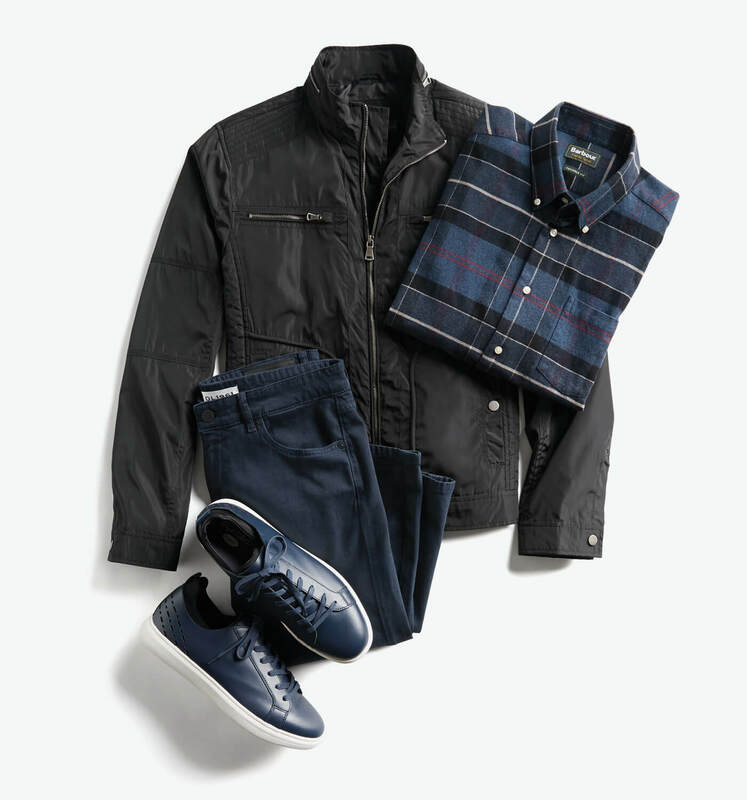 A black and navy ensemble is a lot easier than it sounds—you’d wear navy jeans with a black t-shirt or hoodie, right? 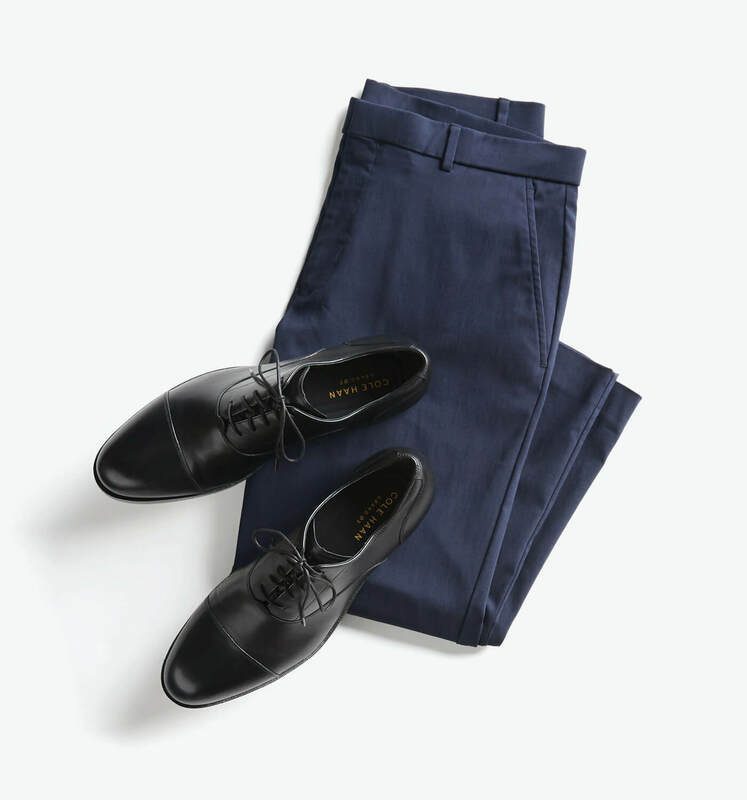 For work and slightly less formal occasions, simply anchor with black or navy bottoms and build your look from there. Basically, you’ll only need to watch out for a black and navy combo is when the navy garment is so dark it’s almost black—and then you’re veering into ninja territory. 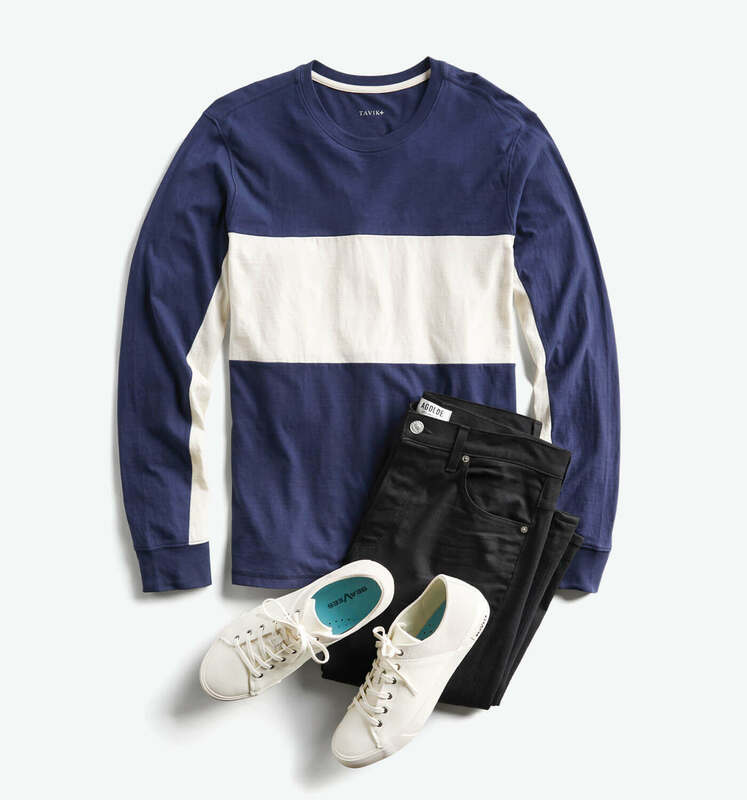 The key to these two colors working together is contrast, so be sure that your navy item is very clearly in the blue family. Ready to pair navy and black together? Tell us when you schedule your Fix.